Genya Fleischer graduated from Pharmacy College in 1981 and worked as a pharmacist for 3 years before continuing her studies at the Southern School of Natural Therapies. 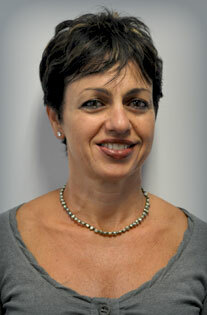 She graduated in 1991 as an accredited naturopath. In the next few years her work emphasis gradually shifted from pharmacy to clinical naturopathy. In 1998 Genya established Caulfield Natural Health Clinic as a sole practitioner. Recognising her community needs and interest in alternative care modalities encouraged Genya to move into a bigger environment to accommodate her vision of a multidisciplinary clinic. Meanwhile Genya has expanded her interest in Chinese Medicine, completing a Master degree in Acupuncture at RMIT. She is a fellow of Australian Natural Therapy Association (ANTA), Victorian Acupuncture Association (VAA), and Pharmaceutical Society. Genya’s interests lie in managing weight problems, emotional imbalances, migraines, hormonal problems, women’s health, and musculoskeletal pain and discomfort. She has particular passion for nutrition and dietary management as a primary tool for long lasting wellbeing. Genya’s services are recognised with most private health insurance companies (e.g. Medibank Private, HBA, NIB, Australian Unity, etc.) and WorkCover.